We enjoyed visiting this year’s Surbiton Festival www.surbitonfestival.co.uk in Surbiton, Surrey with over 200 stalls, entertainment and a carnival procession. 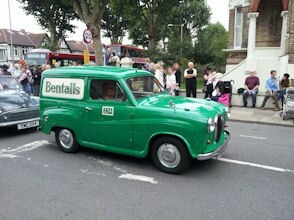 The procession included scouts, brass bands and an impressive collection of vintage cars including an old Bentalls van. Several stalls sold free from food including The Home of Savoury www.homeofsavoury.co.uk with its incredible array of savoury muffins. 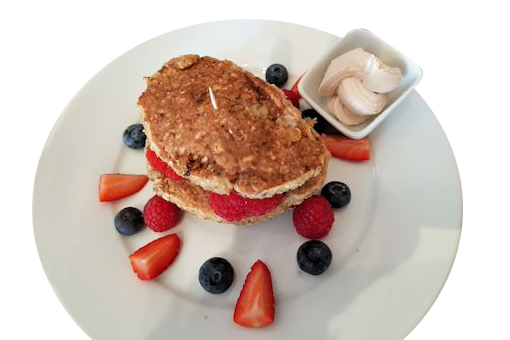 Dairy free varieties including Garden Pea, Broadbean and Gill while the gluten free ones included Ham and Cheese. Discovered gluten free and dairy free muesli, made in Surbiton by eatibbles www.eatibbles.co.uk in several varieties - pecan and almond, sour cherry and mixed berry and cranberry and macadamia. Expensive at £5 a bag – tried the pecan and almond variety, delicious with rice milk. There were plenty of food stalls, but we were unable to find anything we could eat until we chanced upon a stand in St Andrew’s Square selling Pad Thai noodle dishes at £6 a portion, which was delicious.